15 April 2018, Dubai: This Ramadan, Pullman Dubai Creek City Centre will be offering an Iftar and Suhour buffet in Medley Restaurant as well as special deals for larger corporate groups looking to celebrate for “breaking the fast” together hosted by the property’s Moroccan Chef Mama, who is known for her rich delicious dishes and amazing hospitality. Batoul Jarmourne also known as “Chef Mama”, was born in 1947 and worked with Princess Lalla Amina in the late 80’s in Rabat, the youngest sister of the late King Hassan II of Morocco. She has been the unsung hero in Pullman Dubai Creek City Centre as she is the Master Chef behind the successful “Arabic Nights” every Wednesday and has earned the name, of ‘Chef Mama,’ amongst both her colleagues and guests. She personally serves guests and welcomes them throughout the day with the biggest of smiles, carrying the bittersweet nostalgia of real home-cooking. For this Iftar and Suhour, Chef Mama and her team embraces the Holy Month with a variety of exceptional experiences of authentic Arabic dishes combined with her famous Moroccan twist. 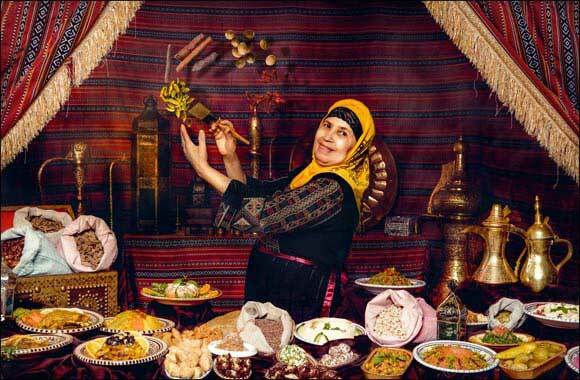 “We consider ourselves fortunate to have Chef Mama with us as she is among Dubai’s most popular authentic Chefs and this Ramadan she is beating the drums of this major celebration event and I hope everyone will enjoy her strong and flavored cuisine” said Mr. Nishan Silva, General Manager of Pullman Dubai Creek City Centre Hotel & Residences. Guests can ‘break the fast’ with dates and crudit�s, Arabic breads with dipping oils, olives and traditional Ramadan juices which will be waiter-served to your table, before heading to the buffet to enjoy a range of succulent cuisine from sweet lamb tajine, shawarma, harina soup to a huge variety of salads, soups and lamb ouzi and of course Moroccan delights such as Briouate, Shabakia, Msemen and much more. Adding to the magical atmosphere, a live oud player will be performing daily at Medley restaurant for all the families and their loved ones. Additionally, Arabic coffee and Shisha services, may be arranged upon request.